Nationally renowned forensic accounting expert, Thomas A. Myers, explains the fundamentals of credit defaults swaps and synthetic CDOs (collateralized debt obligations). These structured finance products were at the heart of the market meltdown, and were the building blocks of numerous allegedly fraudulent transactions, including the Goldman Sachs ABACUS deal, a transaction that caused the SEC to take significant action. First of a four-part investigation into a world of greed and recklessness that led to financial collapse. As the toll of the financial crisis continues to mount, many are looking for its true causes - and finding a crime. Part 1 of this week’s extended discussion on the mortgage foreclosure crisis. Charley and Mike in East Texas take a finely detailed look at the nature of the trouble, and what it will take to work through it. Corday stated: "You cannot seek judicial orders based on fraudulent evidence." "Any case in which they have submitted fraudulent affidavits is an inappropriate foreclosure at this point".
" This is fraud on the courts and it appears they were perpetrating in a systematic basis in thousands of cases". Sen. Ted Kaufman Introduces COP's November Report: "Examining the Consequences of Mortgage Irregularities for Financial Stability and Foreclosure Mitigation." Clear and uncontested property rights are the foundation of the housing market. If these rights fall into question that foundation could collapse. Borrowers may be unable to know whether they're sending their payments to the right people. Judges may block any effort to foreclose. Even in cases where borrowers have failed to make regular payments. Multiple banks may attempt to foreclose on the same property. Borrowers, who have already suffered foreclosure, may seek to regain title to their homes, and force any new owners to move out. Would be buyers and sellers could find themselves in limbo, unable to know with any certainty whether they can safely buy or sell a home. Fed up Americans are taking back their homes. The banks instead of conducting the workout, tried to pull a fast one, and bilked them out of tens of thousands of dollars more than they believed they owed. They got a judge to deny them their day in court, so there was never the need to illustrate the necessary paperwork. And basically, finish the dirty deed, change the locks, and sell the house before anyone was able to put two and two together. Clearly, as banks try to avoid dealing with their inability to prove who owns the house - and - the potential threat that they may have to reveal trillions, or hundreds of billions, in toxic loans that were stuck in the gut of the American taxpayer at Fannie and Freddie, not in compliance with the government standards that were set for those loans in the first place. Karin Huffer has discovered why many people leave a courtroom frustrated and sick. Karin explores the foundation of Legal Abuse Syndrome and has proven that a constant negative result from any courtroom experience produces Post Traumatic Stress Syndrome in litigants. Before you go to any court, understand that Justice is not a part of the equation and prepare yourself for the possibilities of being in a situation that is based in judge and attorney created rules rather than common sense. The Near Financial Collapse - One Year Later. 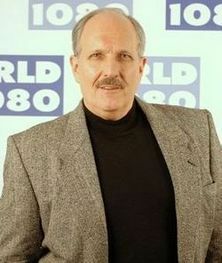 Meet the founder of www.msfraud.org Robert John Wright (aka Jack Wright) who tells his story. Hear how he lost his home even though the pretender lenders (Bank of America, EMC Mortgage-Bear Stearns) confirmed at trial that Jack was never in default. EMC Mortgage also confessed at trial that they were not the Holder of the loan and admitted they "saw Bank of America's mistakes; but rather than correct those errors, they just decided to steal Mr. Wright's home and equity"! Victims tell their side of the mortgage crisis story - the side you don't hear. Additional guests: Texas Attorney W. Thomas Engle who represents mortgage servicing victims and forensic mortgage analyst/expert witness Marie McDonnell with Truth In Lending Audit & Recovery Services. Foreclosures are on the rise, and lenders and loan servicers are making a lot of mistakes in the process. In many cases, the servicers don't have the right to foreclose on homes because they don't own the loans. But unless borrowers challenge their foreclosures in court, the servicers prevail. A Harvard graduate, and law professor at the University of Iowa, Katherine Porter joins us to talk about this dirty little secret of the lending industry. Recently, an Orlando jury ordered Equifax to pay nearly $3 million in the case of a woman who says the company ruined her credit in an identity mix-up. Meet her Attorney... Robert Sola is one of the leading attorneys in the field of credit reporting, credit disputes and credit errors. He has successfully litigated Fair Credit Reporting Act cases, and obtained large jury verdicts, against all three major credit reporting agencies. Don't miss this revealing show! Also read: Could 62 Million Homes Be FORECLOSURE-PROOF?